Passionate about mathematics, Saundra Paschal has had a distinguished career teaching honors algebra II and pre-calculus to students at Lake View High School in the San Angelo Independent School District in Texas. Her dedication to her subjects extends to coaching the math team, coordinating the school’s university interscholastic league, and advising on books for publication, helping to create resources in the subjects of algebra and pre-calculus. Ms. Paschal prepared for her endeavors by earning a Bachelor of Science in mathematics, with a minor in biology from Angelo State University in 1980. She proceeded to start out as a teacher’s aide, and quickly realized her natural ability for teaching students and her joy in helping them to succeed academically. She loves the look students get when they finally get what she’s teaching; she strongly believes that all students can learn anything, given the right effort into figuring out what triggers their interest. She attributes her success to her passion for teaching, her dedication to becoming an expert in her subjects, her patience, and the support she received from her own teachers when she was a student. To this day, Ms. Pascal remains active in her community and has been recognized for her outstanding leadership and commitment to her profession. She received the Teacher of the Year Award in 2014 and 2000 and the Worldwide Lifetime Achievement Award in 2012. She was also honored as a Top Educator of the Year in 2017 by the International Association of Top Educators for her dedication and achievement in algebra and pre-calculus education. She is affiliated with the Texas Math and Science Coaches Association, and the Association for Supervision and Curriculum Development. She also volunteers her time at her local church and other charitable organizations. Looking forward, Ms. Paschal intends to continue on her current path of sharing her knowledge with students and fellow teachers alike. If she could offer some advice to the younger generations, it would be to have patience. When Ms. Paschal has free time, she enjoys playing the organ at her church, Immanuel Baptist in San Angelo, Texas, taking photographs of the high school sports teams, and taking pictures of natural landscapes to capture evidence of mathematical functions as they are found in the real world. 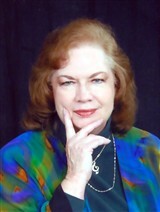 She is also an avid reader who prefers mysteries, science fiction and romance.